There are several Android OEMs that have unveiled their 2016 flagships, among them Samsung, LG and Sony, just to mention but a few. Others such as HTC and the recent entrant BlackBerry have yet to join the battle of the best Android phones in 2016. If you are in the market for a new smartphone, it is best to know where your cash is headed. Of course, every person has their own preferences and what they look for when buying a new phone. Whether it’s a new and huge phone in the market, a decent-looking but still small enough phone or simply a phone that offers the best bang for your buck, we have you covered in this review. If you have no problem spending over $650 on a phone and are after the best smartphone in the market so far, look no further than Samsung Galaxy S7. This phone has it all as far as looks and performance are concerned and you will enjoy the camera and display quality on offer here, as well as the improved battery size that promises longer battery life. The new Xiaomi Mi 5 Pro brings to the table what is actually a more than perfect combination of the best price, design as well as performance. This device carries the same hardware under the hood as what you find on the Galaxy S7. The Mi 5 Pro version comes with onboard storage of up to 128GB and costs a little over $400. If battery life is your thing, you should be looking at the Sony Xperia Z3. Packing a battery unit of 3100mAh, this phone outdoes most of the flagship devices released last year and this year, apart from the Galaxy S7 Edge which has 3600mAh. Despite having a Full HD display, the Xperia Z3 still manages to the best battery life of any top smartphone out there. The Xperia Z3 is currently available for $369. When it comes to photography, Sony’s sensors are known to be all over the smartphone world. It is no wonder the Xperia Z5 leads the way when it comes to photography. If you love capturing the best quality photos with your phone, the Z5 is what you need right now. It comes with a 23MP sensor on the rear that features extremely fast autofocus and image stabilization to ensure you get the best pictures. Even though the phone is quite scarce in the country, it currently costs about $565 on Amazon. 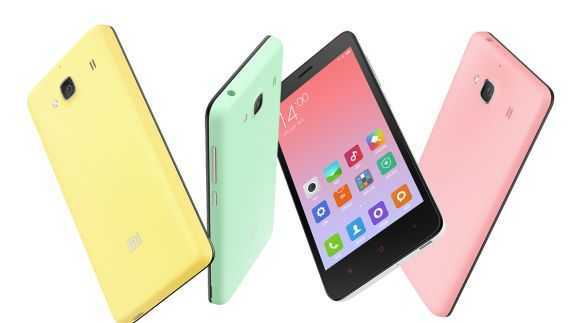 Xiaomi is at it again, but this time, it comes in as the best Android phone under $400. With the Pro version competing among the elites, there is a standard Xiaomi Mi 5 that rests well above the rest when it comes to the mid-range category. Boasting the latest hardware such as Snapdragon 820 CPU, Adreno 530 GPU, 3GB RAM and onboard storage options of 32GB and 64GB, this device costs just $307. You will also be impressed with the 16MP and 4MP snappers on the rear and front respectively. On paper, it is definitely the go-to smartphone for the budget-conscious people.